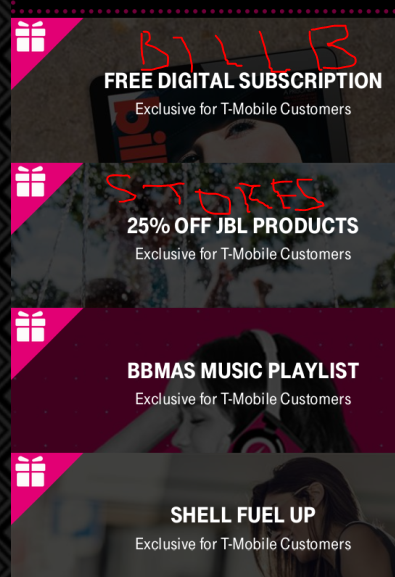 I suppose T-Mobile Tuesday are celebrating in a tape-delayed fashion National Record Store Day with the 4/25/17 freebies, because it’s music and gas to get you there 😉 There is one legit freebie, two coupons, and one unspecified item. The freebie is a 12 week subscription to Billboard (this is a digital subscription, not a physical magazine). 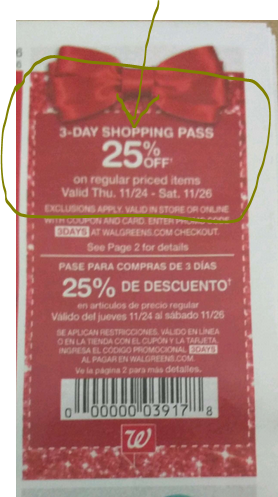 The coupons are the usual 25c off per gallon at participating Shell stations, and 25% off JBL products available for purchase at T-Mobile real-world stores. 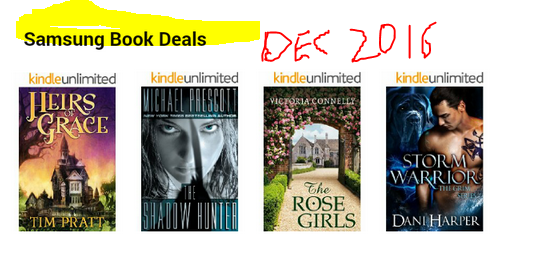 As usual, all four choices are previously released Kindle Unlimited ebooks, so they have plenty of customer reviews that could help you decide on which out to get. This is different from Kindle First that offers pre-release e-books. 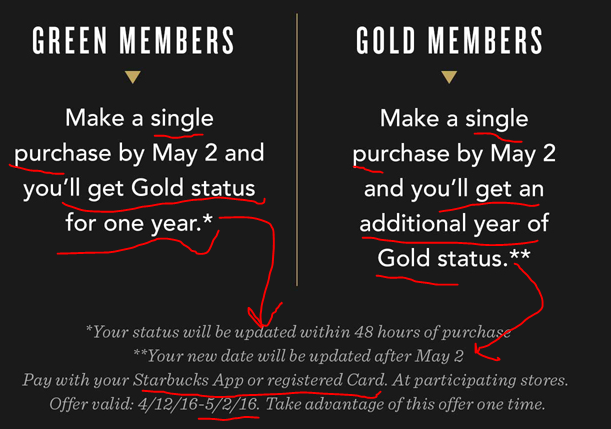 Starbucks continues to ramp up interest and/or curb disappointment in their new Rewards program. One promotion that is running at the moment is that if you are a Rewards member (Green or Gold), and you make a purchase by 5/2/16, you get One Year of Gold membership. The Starbucks Satisfaction Surveys have had their benefits very slightly trimmed too. You now get 10 stars if you do one of those random after-visit customer satisfaction surveys Starbucks occasionally emails you. Ten stars is 8% of a reward. Previously you got one star, which was 1/12th of a Reward, a 8.33%. A small percentage, probably the easiest way for them to “translate” this. Well, not actual gold, but Gold membership in their Rewards program. 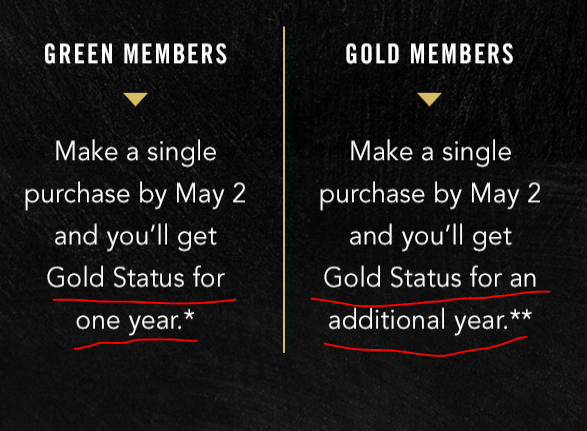 If you are a Green level reward member and you make at least one purchase by 5/2/16, you will get one year of Gold membership status. Your free upgrade will be reflected within 48 hours of purchase. On the other hand, if you are an existing Gold member, you will get an additional year added to your account. This change will take place after May 2nd, as Gold members are in no danger of losing benefits shortly (unless you happen to fall into this tiny window). The launch of Marshmallow (Android 6.0) changed the depth chart of the Nexus phone line-up. No longer can the trusty Nexus 4 get official OTA Google OS updates with the rest of the pack. So the lines have moved, now the Nexus 5 is the oldest phone that is going to be Marhsmallowed (yes, it’s a verb!). Of course there is (and will be) more work at XDA and other places to get 6.0 on the Nexus 4, but if you prefer the official OTA, it has to be Nexus 5 or newer. Speaking of which, eBay seller “mobilepros1” (97.9%) is offering new-condition factory-unlocked 16GB LG Nexus 5 (model D820) for $175 with free shipping, with a limit of five per buyer. Only the black color scheme is available. This is a GSM model. No contract! A quick refresher, this has 2GB RAM, 16GB on-board, no microSD, 5-inch 1080p display, Snapdragon 800 with Adreno 330, and things like that. Some are reporting battery life improvements with Android 6.0, which is a good thing since battery life was one of the knocks on this one when it came out. Now strategically the question is, do you get this one or a Nexus 6? Other things equal, the Nexus 6 may get an additional official OS update over the Nexus 5. On the other hand, there’s breaking rumor-news now that Google will merge Android and ChromeOS, so I don’t know if that will throw a monkey-wrench in their OS upgraditis situation.